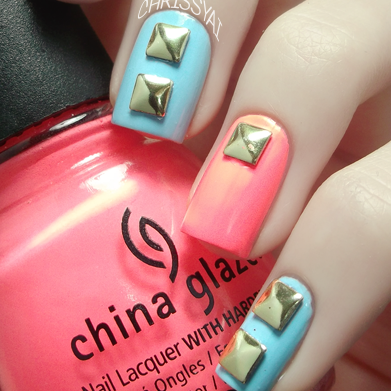 Check out this awesome studded mani with its very cool accent nail of China Glaze's 'Flip Flop Fantasy'. 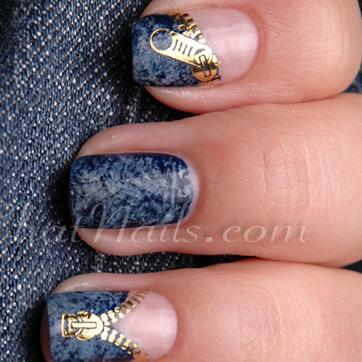 This unique mani was done with Gold Zipper Water Decals. 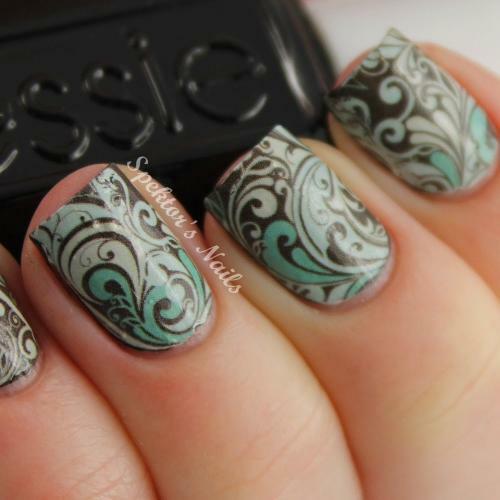 Here's another water decal mani by Spektor's Nails. The different colours in the design really make it pop! 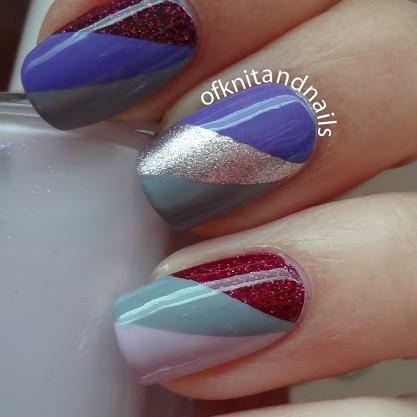 I'm salivating at all the beautiful polishes in this colourful tape mani! 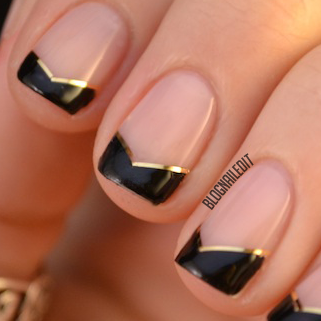 A great new spin on the classic look. Renee shows you how to get this cool cartoon look with China Glaze's 'Hang-Ten Toes' here.